Aggieland Website Design/Tom and Carrie Bruch are proud supporters of the University's Sports. Aggieland Website Design will not sell or give away your contact information. 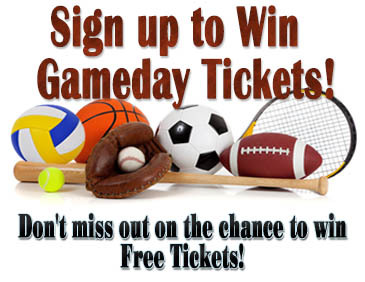 *Please only enter one time per ticket giveaway! Good Luck and we'll see you at the games! Like us on Facebook! For an extra Ticket Entry!